That's great Nick. I'll be curious to see if it makes it to market. After the 2003 series (D78, D80, D82, D84) for the 120 years, what would be the US made line for the 130 years ? 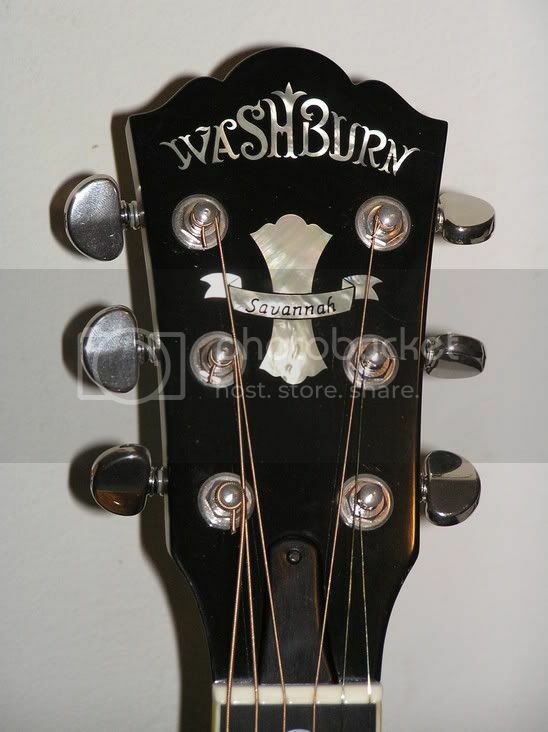 Anything EXCEPT a dread....it's all you find on the market, Washburn needs to incite interest in something that the public can't get from others. As for tonewoods, obviously all solid-woods, but y'all know I'm a fan of cedar tops over spruce, so I'll ask for cedar. My cedar/rosewood C124SWK has great tone, as does my Epiphone AJ500RC, so please consider that tonewood combo! 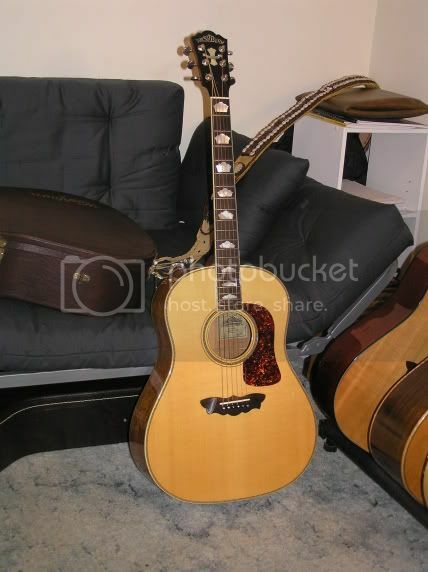 I'm with Keel re: slope shouldered guits....right now the one that speaks to me is an Epiphone Masterbilt product, called an "Advanced Jumbo" b/c of the location of the bracing relative to the position of the soundhole. 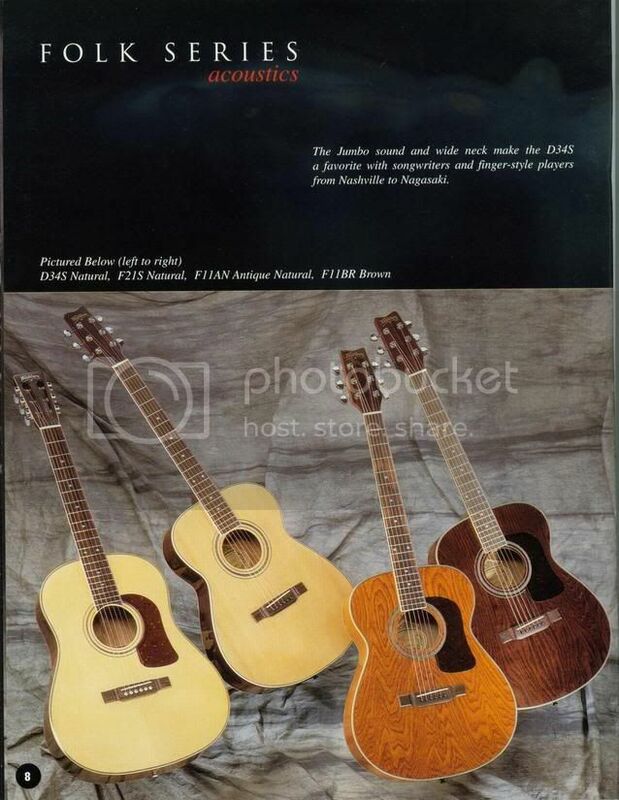 It is in no way a "jumbo" guitar, very similarly sized to a dreadnought, but it is a 12-fret free design---that enlarges the upper bouts and improves volume, although not as "large" as a jumbo it seems to have greater volume and much better projection than any dread I own. Hate to say it, but considering the success of the older D10S series, I still assert that an all-solid wood version of the D10S, with the added features of the D10SDL, would be a door-buster for the retailers. I hear ya' Keel. Washburn did a nice job putting out this D56SW englemann/koa slope shoulder southern jumbo, forward shifted scalloped trilite bracing... something like it'd work. The 12 fret clear "AJ" traces it's heritage to the Roy Smeck Gibson Guitars of the late 30's and early 40's. These guitar have gotten a boost lately as Gibson has done a Jackson Browne Signature guitar, based on Brownes collection of Smeck's. The original Smeck guitars were set up for Hawaiian lap style playing. Most of these old Smecks have been converted to "Spanish" style by changing the nut, adding metal frets and putting on an intonated bridge. Like Dugly I've got a bit of GAS for a 12 fret, slope shoulder dread. Not a lot of them out there and the companies that do offer them (Gibson, Santa Cruz, etc.) are at the high end of the price scale. Pike, love the slope shoulder Washburn. That is a spectacular looking slope shoulder dread. but not labeled as Washburns. 000, 12 fret, 1 3/4 nut, slot head, bone nut and saddle with Grover or Waverly tuners. Spruce and mahogany. NO---cut a way, electronics*, distressing, or wierd inlays. *I could live with a hidden Fishman Aura. Here's a D34S 12 fret slot head spruce/mahogany. Had one, wasn't impressed. My 12 Fret D impressed me to no end. I always wished it was a 000. The only thing I couldn't do with it was splint up Cheryl's broke foot. So I sold it to buy a cast. Wish list!That's on par with asking for an opinion.Okay,let's pretend my wife lets me buy more instruments,and next year's tax return is about double of this year's(hey,you brought the w-word into it).Butterfly bridge,Cumberland headstock,14 fret clear,grand concert body,cream binding-neck and headstock included,diamond -shaped fret inlays(preferably wooden),Grover 14:1 gold coloured tuners,mahogany back and sides.Hold your hats,because now the best part-ADIRONDACK top,rock maple neck,ebony for the bridge and fretboard.Excuse me while I wipe the drool from my chin!Now,lightly fog the top with transparent amber nitro,clear the back,sides,and neck,headstock veneer to match the bridge.And Washburn owners get first dibs.If you make one with maple leaf fret inlays for the Canadian market,tell me where to sign up,and if you'll take my Avalanche in on trade!Wow!Now I'm spent!Peace,out,play safe!-Jamie.